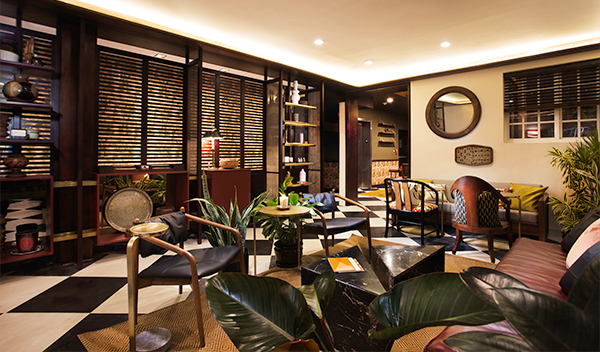 The brainchild of Founder and CEO, Rami Zeidan, Life House, a new collection of immersive boutique hotels, was developed out of the idea that travel is more than simply a method of exploration, but a gateway to deeper human connection. To enhance this connection, Life House creates authentic and locally-rooted spaces that bring neighbors and guests together in culturally rich and organic environments. The identity of every Life House is entirely unique, and tells a cohesive story through design, experience, and technology while a distinctive aesthetic and emotional touch points unite the collection of hotels. Artwork and photography sourced and commissioned from local artists play an intrinsic role in the houses’ multi-layered design which in turn has a distinct residential feel to ensure a home-away-from-home atmosphere. The first tangible embodiment of the Life House ethos comes in the shape of Life House, Little Havana. 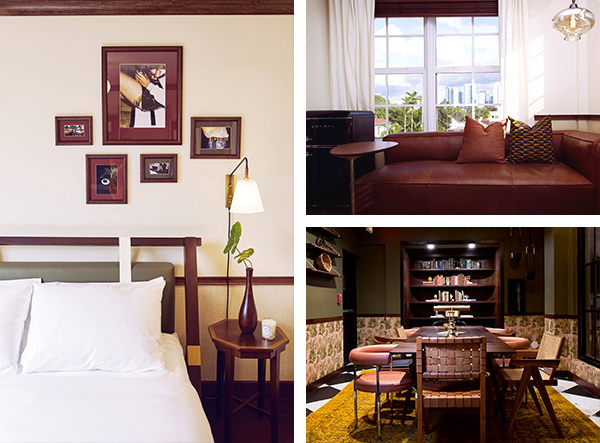 Newly opened and housed in a historic 1920s mansion in Miami’s Cuban heart, the 33-room hotel is a visual encomium to its locale. From the dusty peach tones of the Mission Style façade—selected to complement the hues of neighboring houses—to the gallery space dedicated to Cuban artist Leandro Feal, every element has been mindfully crafted to pay homage to the area’s cultural roots. The collaborative vision of the interiors are defined by guava pink, rich jade, and earthen sienna juxtaposed with natural woods and simple cream lines. Monochrome-checked flooring typical of a Havana mansion and ceilings inspired by the overdyed magenta-hued wood of local market boards are complemented by Art Deco details salvaged from the original structure. The 33 guest rooms and suites feature Le Labo bathroom amenities, Marshall speakers, rainfall showers, and a mixture of vintage and custom furniture. As to be expected of a hotel with community at the heart of its narrative, the social spaces are the highlight of Life House, Little Havana. The layout of the living room-style lobby and library is inviting and inclusive, while the expansive three-story atrium gallery acts as an immersive introduction to Little Havana’s artistic identity. The hotel plays host to a secret garden style courtyard, providing a lush outdoor oasis with a Havana ambiance. Exploring Cuban gastronomic roots, the vegetable forward café and bar and restaurant offer Latin infused foods and color palettes. The rooftop will feature a food forest from which ingredients will be sourced and used throughout the hotel’s menus. Opening in March, the crowning space Terras overlooks the Miami skyline from a jungle canopy-like perch, further cementing the hotel’s relationship with its surroundings. In keeping with its technology-led approach, Life House fosters connections outside of the physical sphere with a social network of travelers that facilitates guest engagement from the moment of booking. This network forms part of a fully-integrated propriety technology platform that allows for seamless direct bookings for individuals and groups, streamlined operations, and unrivalled in and out of room connectivity. The Life House story continues with the spring 2019 launch of Life House, South Beach, the second hotel to join the Life House collection which encompasses an intimate beach cottage artist’s retreat just steps away from the ocean with a bar and restaurant. The hotel is now accepting reservations for May 2019. In 2015, Design Hotels™ joined forces with Starwood Preferred Guest (SPG®), enabling its member hotels to have both a greater and more selective reach while offering its Community the benefit of a prominent loyalty program. Since August 2018, Marriott International combined its leading loyalty programs of SPG®, Marriott Rewards® and The Ritz-Carlton Rewards® into one loyalty program with instant elite status matching and points transfer which will have the unified name Marriott Bonvoy from 13 February 2019 on.